Join Kaiserslautern Outdoor Recreation on an exciting day paddling one of the many local rivers. As we canoe down the rivers of Rhineland-Pfalz and Saarland, we will pass steeply sloped vineyards and quaint castles as we make our way downstream. Depending on conditions, options include the Sauer, Glan, Mosel or the Nahe River. These trips are a fantastic opportunity to enjoy paddling through one of the most famous regions in Germany. 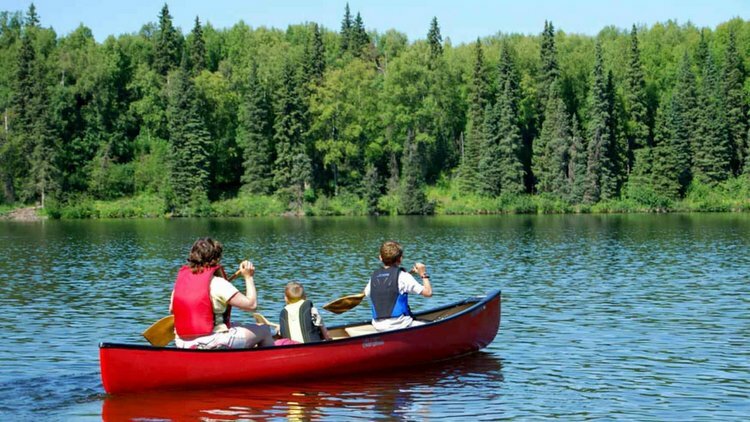 Because of the flow of the water and the occurrence of portage (having to get out of the water and carry the canoes), these trips are not recommended for small children (unless accompanied by 2 adults) and an adventurous spirit is recommended for all participants. Experience is not required, but for those without, be prepared for the possibility to get wet. Enjoy the great outdoors with Kaiserslautern Outdoor Recreation! Reserve your space today.